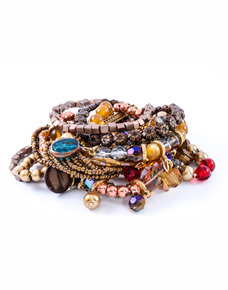 Our popular hand made 100% leather fully adjustable bracelets have intricate plaited and woven designs that are guaranteed to appeal to all members of the family. They are an attractive accessory offered at a very competitive price and a gift that is certain to please. simple secure slipknot fastening ensures the bracelet can be adjusted to fit perfectly and also ensures that it will never slip from your arm and be lost. To keep your bracelet completely waterproof, flexible and in perfect condition use a light coating of clear shoe wax monthly and buff with a soft cloth.